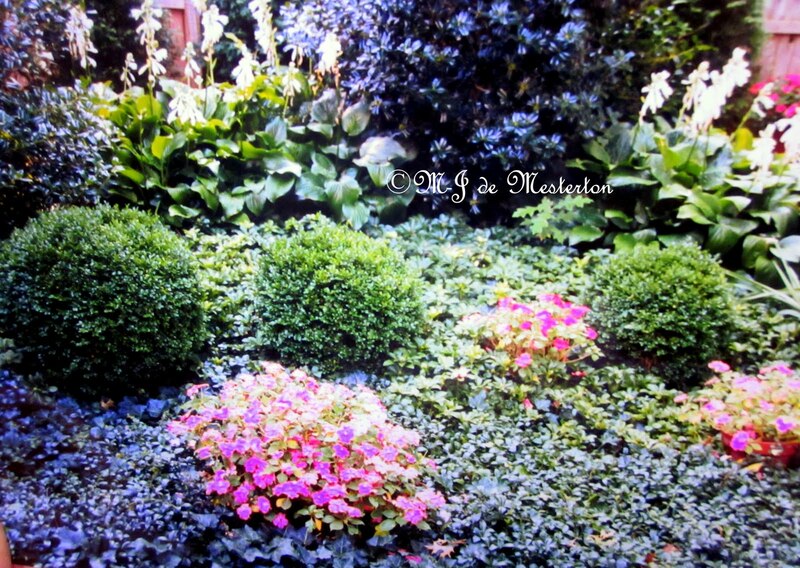 My Princeton garden with impatiens set among the boxwood, ivy and myrtle, together with hostas and holly bushes. 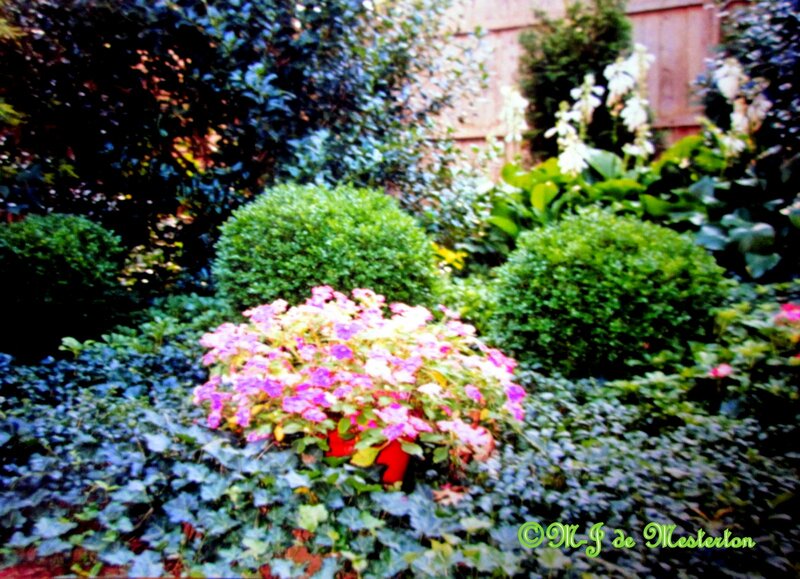 My Garden of Boxwood, Ivy, Myrtle, Hostas, Holly and Impatiens. 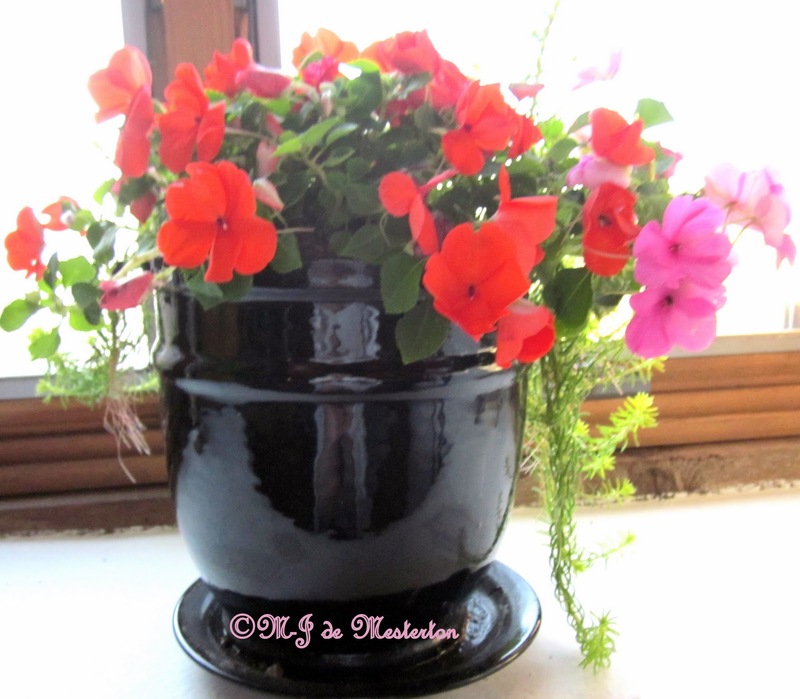 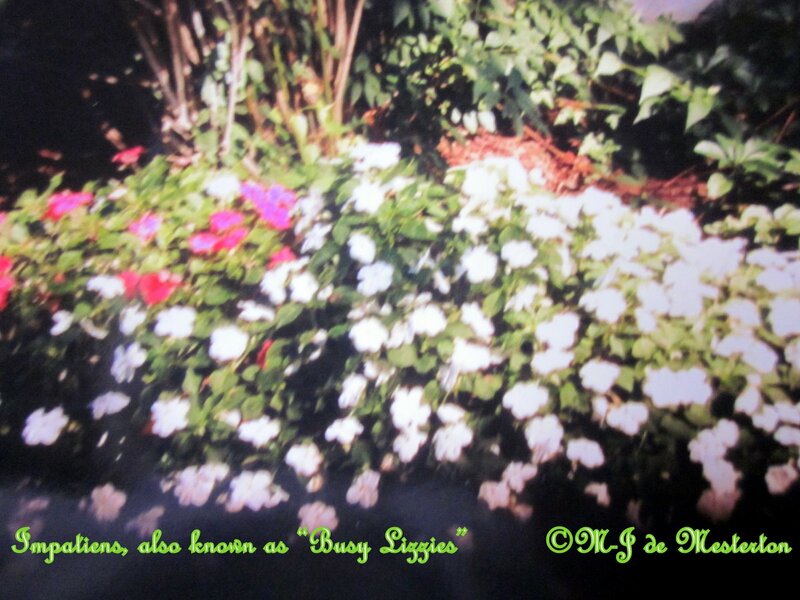 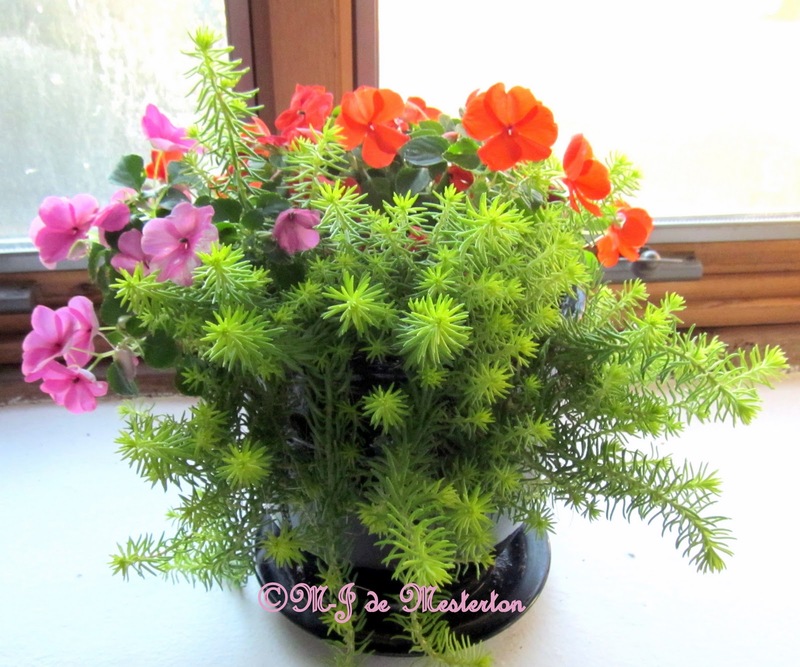 Impatiens flowers like to spread, and make good ground-cover plants in shady, moist environments.